Steve Temme is founder and President of Listen, Inc., manufacturer of the SoundCheck audio test system. 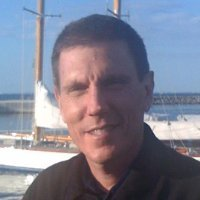 Steve founded the company in 1995, and for the past 20 years the company has remained on the cutting edge of research into audio measurement, regularly introducing new measurement techniques, algorithms and hardware. Prior to founding Listen, Steve worked for many years as an acoustic test and measurement applications engineer at Brüel & Kjær, and also as a loudspeaker design engineer at Apogee Acoustics. He holds a BSME from Tufts University, has authored numerous papers on acoustic testing, and has lectured extensively throughout the world.